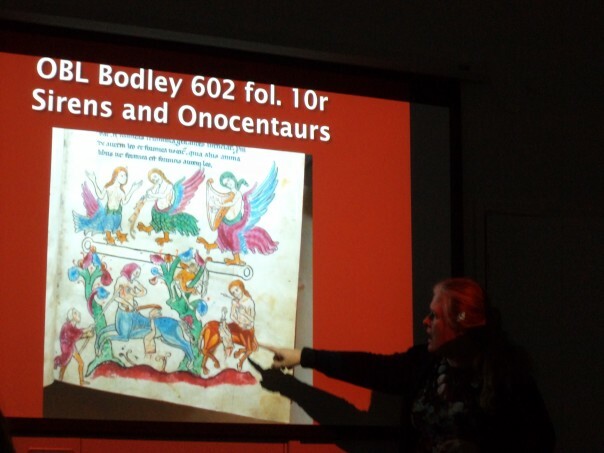 This year the itinerant Fifteenth Century conference took place at the University of Essex just outside Colchester. As those of you who have been to the university campus will know, it is set on the slopes of a wooded valley and is one of the county universities founded in the 1960s best known for their concrete and glass architecture, and the large number of flat roofs. Being in what was the private estate of Wivenhoe House with its landscaped parkland of impressive lakes and stunning mature trees, it is a beautiful setting and there are also views of neighbouring Colchester and the surrounding countryside. 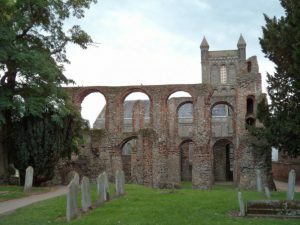 The Priory of St Julian and St Botolph, Colchester. 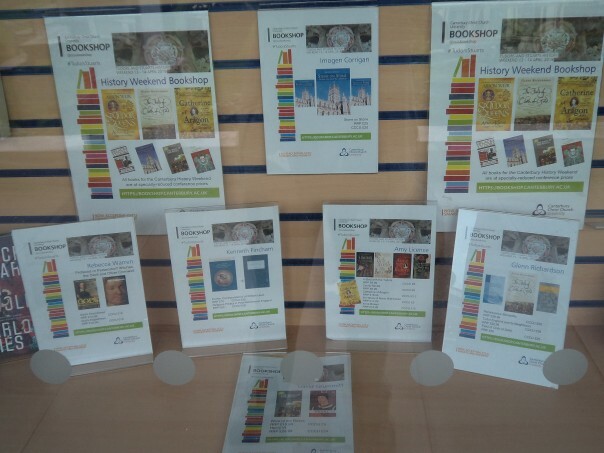 However, to return to the conference, Dr Justin Colson and his colleagues from Essex had done an excellent job in putting together an extremely interesting and varied programme of sessions and plenary lectures with a considerable number focusing on various aspects of the late Margaret Aston’s research interests. In many ways Margaret Aston’s name is synonymous with Lollard studies, and, even though such a subject was at the heart of much of her writings on the later Middle Ages, her interests did extend beyond to include late medieval piety and charity more broadly. 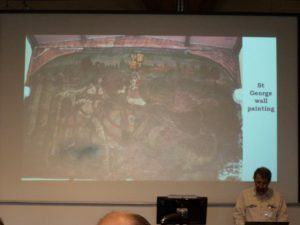 The two plenary speakers were Dr Paul Cavill from the University of Cambridge, who spoke on ‘Heresy and the Common Law’ and Dr Clive Burgess at Royal Holloway, London, who used his extensive knowledge on late medieval Bristol to explore ‘civic Catholicism’. Both lectures were fascinating, and, in the context of this blog, it was great to hear the Canterbury example given by Paul. Keeping with the Kent theme, among those on the roundtable that debated ‘Heresy’, especially Lollardy was Dr Robert Lutton from the University of Nottingham. For those who do not know him, Rob did his doctorate at the University of Kent in the late 1990s where he studied orthodox and heterodox piety in the large Wealden parish of Tenterden, which included a small chapel at Small Hythe. As you might expect, a conference such as this ranged widely across the country and beyond, including a paper on armaments in Castile, but I’m going to keep to the two papers that used research on Kent. 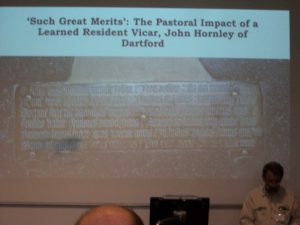 The first of these was given by Dr David Lepine who considered the influence of a particularly learned vicar of Dartford on the beliefs of his parishioners in the later 15th century. John Hornley might be said to have been a shining example of that drive by senior churchmen of the period to try to ensure their parochial clergy were university men and thus able to counter dissident religious ideas among the laity. As an Oxford man Hornley was eminently suitable and his episcopal connections also stood him in good stead, and, moreover, he seems to have been very conscientious about his duties at Dartford, especially in his later years. Dartford was an important place just outside London, marking a river crossing on the road south-east to Canterbury and as well as pilgrims there were plenty of other people and goods that passed through the parish. The town had a market and at least four inns. Londoners were involved in the local land market, and such cross-fertilization of people, ideas and wealth was presumably highly influential on those living and working there. It was also the site of the only Dominican nunnery in England, which was the subject of Dr Paul Lee’s doctorate and subsequent book. In addition, there was a late medieval almshouse and the hermit at the chantry chapel on the bridge was also expected to aid several poor men. To return to Hornley, his church and parishioners, there are 65 wills for Dartford for the second half of the 15th century, and these and what survives of the medieval church provide insights regarding parochial piety. Among David’s findings are that the church had a Lady Chapel, a new screen and roodloft, and work was also done on a west porch and the upper section of the tower. In addition to the vicar there were two chantry priests and the latter, with perhaps other local clergy, may have been heavily involved in delivering the many temporary chantry masses requested by testators, as well as the usual funeral services at burial, month’s mind and twelve month’s mind. Furthermore, the church had singing boys and thus the liturgical and other services could include polyphonic singing from at least the 1460s. Furthermore, there seems to have been a strong Christo-centric tone to the wills, the will preamble often stressing the relationship between Our Lady as the mother of Christ. Taking these points and others, David believes he is seeing evidence of Hornley’s influence, not least because as well as having been vicar for many decades there, he was resident during much of this time and his concern for the place is apparently reflected in his desire to be buried before the high altar of his parish church. Furthermore, he was presumably a highly skilled preacher and his pastoral skills were also recognised locally, not least through his offices as executor for several of his parishioners. And finally, his successors do not seem to have been seen in quite the same way because there is a shift back towards more bequests to saints rather than the holy family in the Dartford wills after Hornley’s death, and less money was left in terms of tithes forgotten. The St George wall painting, Dartford. The second paper on a Kentish topic looked at the other side of the religious coin – charity, and took as its starting point Margaret Aston discussion in ‘‘Caim’s Castles’: poverty, politics and disendowment’ (published 1984), where she considered Lollard views regarding the value of hospitals as charitable institutions, albeit Lollards were keen to place them beyond what they viewed as the greedy arm of the Church. More recently, some scholars have proposed that the innovative change in hospital governance from ecclesiastic to “secular” hands is part of the laicization of the long 15th century, which found its earliest expression in London, particularly in the foundation by Richard Whittington of an almshouse (completed in 1424). Such ideas are interesting but would seem to require modification due to circumstances in later medieval Kent. For many of the hospitals in the Kentish Cinque Head Ports had been administered by the civic authorities for decades, if not centuries, before this date. Often established for local poor persons, the brothers and sisters followed a liturgical routine but their daily lives extended beyond the hospital’s chapel or parish church. Lay involvement and concerns were also visible through civic visitations, the selection of inmates and the overseeing of the hospital’s assets. Starting with Bishop Hamo of Rochester’s hospital foundation charters for his natal town of Hythe in the second quarter of the 14th century, it is probably significant that among the issues he raised were that his first hospital should be for ten local old people who had fallen on hard times through no fault of their own, that the master should be chosen from among the ten, his deputy a woman similarly and that oversight of the hospital was to be undertaken by three wardens, who were to be town jurats and the holders of the town’s common seal. Even though, as I noted, it is difficult to be sure these ideas were adhered to, when we look at the records for Sandwich the evidence is much stronger. 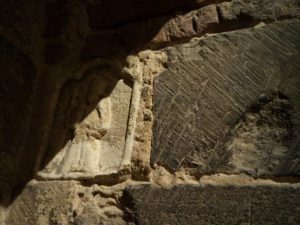 Norman carving in the Colchester Castle gateway. Having talked about various aspects of the histories of St Bartholomew’s and St John’s hospitals before, today I’ll just confine myself to two brief points. Firstly, for St Bartholomew’s, the annual procession on the feast day of the saint from St Peter’s church to the hospital’s chapel to present tapers, celebrate Mass and enjoy a feast, was a highly charged civic and religious ritual. Consequently, the nature and form of the hierarchical relationship between the hospital and civic authorities would not have been lost on the mayor and jurats, the hospital brothers and sisters and those, including local knights and townsmen attending the procession and patronal service. Similarly, at St John’s, this juxtaposition of the civic authorities and the hospital brothers and sisters was visible at visitations, the mayor and senior jurats sometimes visiting up to five times a year to take the oath of a new inmate, to check on the master and other hospital office holders, to assess the hospital’s possessions and to administer discipline. Taken together, the evidence would suggest that there was much at the Cinque Ports that the Lollards would have approved of, but, as in early 15th-century London, some of these ideas would have resonated equally with those of a far more orthodox religious outlook. Moreover, for the portsmen these were not new, rather their forebears had sought a far more integrated relationship with the local church, and this civic – religious ‘partnership’ was part of the social fabric of the Kentish Cinque Ports. As usual, the Fifteenth Century conference was a very enjoyable occasion, and I think some of its great strengths are its relatively small size and the excellent mix of people from leading experts to early career academics and doctoral and other postgraduate students. I’m not sure where it is going next year, but I shall look forward to finding out.